Catherine is a confident, hardworking student who has recently joined our program. She hopes she can find a sponsor/mentor to help her to continue to attend class 8 as she is well aware that education is indispensable. It is her goal to become a social worker to help improve the social status of her community. Being the oldest of 3 children, Catherine is responsible for helping her aging grandmother with daily house chores, as she and her siblings are currently staying with their grandmother while their mother is working tirelessly in a nearby town. Unfortunately, even though their mother is a housekeeper, she is still earning less than enough to meet everyday necessities and is struggling to provide for her family. Despite the daily social, economic issues Catherine’s family face, she has still managed to score high marks well above the 300 average marks. Her favorite subjects in school are English and Social Studies. She is also involved in her school’s football (soccer) team and has been a member of their team for the past two years. Catherine has demonstrated her passion for helping her community through her church often helping with environmental cleaning activities. 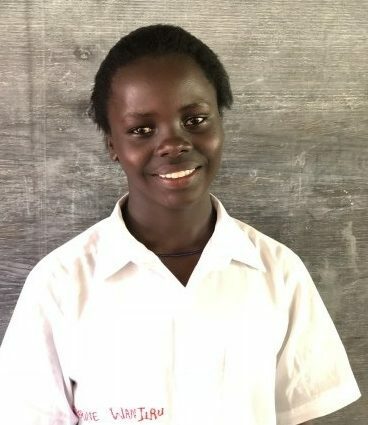 It is Catherine’s hope, as well as her grandmothers and mothers – that Catherine will be able to find a sponsor to help her be able to continue to attend school to achieve her long-term career goal of becoming a social worker.